TORONTO, April 18, 2018 – Trainer Mike DePaulo, who finished sixth in the trainer standings last year with 38 wins, will look to fly out of the gates on Saturday when he saddles four runners on the 10-race card, at Woodbine. DePaulo’s best chance comes in the Wando where he sends out Pipers Warrior and Flight Deck in the 1 1/16-mile event for three-year-olds over the Woodbine Tapeta. A Chiefswood Stable homebred, Pipers Warrior showed marked improvement in his final two starts last season when graduating in a 1 1/16-mile maiden allowance ahead of a solid second, at the same distance, in the Display Stakes. “He ran a great race his last start. He’s an improving horse. He’s good and fit and I’m hoping this is his first step towards the Queen’s Plate,” DePaulo said. The Majestic Warrior bay, to be ridden on Saturday by Rafael Hernandez, finished off the board in his first two starts when sprinting. Flight Deck, a dark bay son of Lemon Drop Kid owned by Le Amici Racing Stable, showed promise as a juvenile when graduating at first asking over the E.P. Taylor Turf Course. He finished off the board in subsequent stakes starts when sixth in the Cup and Saucer and fifth in the Coronation Futurity. Although he trained well over the winter at Gulfstream, Flight Deck failed to fire in his seasonal debut when fifth in an optional claiming event on the turf. “He shocked us when he ran so poorly at Gulfstream. There was absolutely no reason for that bad race, so I stuck a set of blinkers on him and we’re hoping for a rebound in this race,” DePaulo said. David Moran will pilot Flight Deck on Saturday as DePaulo gives the horse another chance to run to his impressive breeding. “His pedigree says he should run a hundred miles, but maybe I have him wrong. Maybe he’s only going to want to be a turf horse and a sprinter,” DePaulo said. A solid Wando field includes Grade 3 Grey Stakes champ Archaggelos. The Monticule homebred son of Temple City rallied to a 2 1/4-length score in the Grey Stakes. Last time out, Archaggelos finished 11th after pressing the pace in the Jeff Ruby Steaks, at Turfway Park. Luis Contreras has the call. Inge, Titochip, Tale of Vienna and Machtree complete the seven-horse field. DePaulo is looking forward to getting the new season underway with a stakes double a possibility. The Wando, named for Canada’s 2003 Triple Crown champion, is slated as Race 6 on Saturday’s 10-race card. First post time is 1 p.m. Fans can watch and wager on all the action via HPIBet.com. 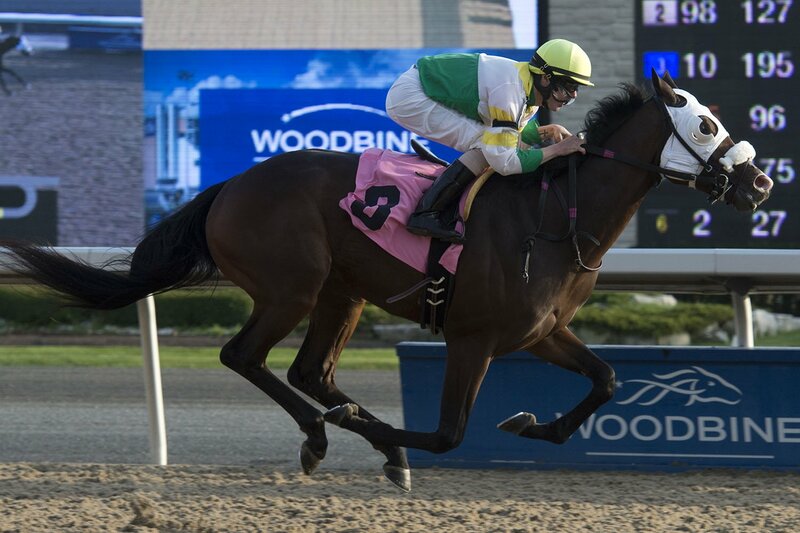 This entry was posted in Woodbine News and tagged Flight Deck, Horse Racing, Michael De Paulo, Opening Day, Pipers Warrior, Thoroughbred Opening Day Event, Wando Stakes, Woodbine. Bookmark the permalink.